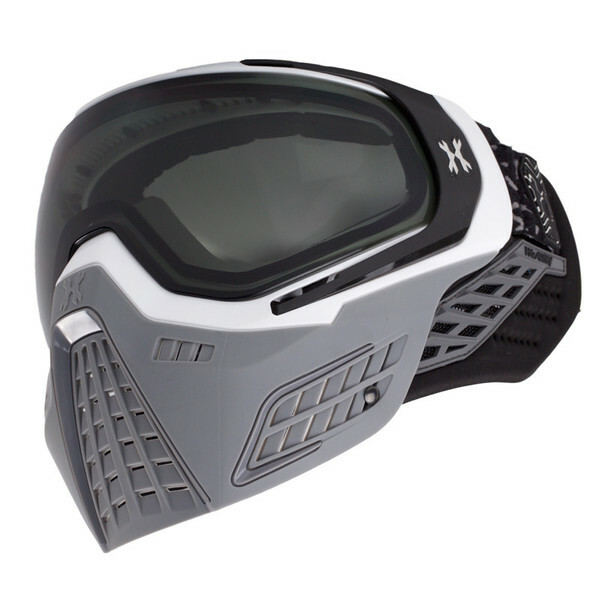 The HK Army KLR Goggle is the first to incorporate a lens retention system that is innovative, safe, and interchangeable. The patent-pending PVT Lock system allows the user to change lenses in mere seconds -- the days of gouging your mask and lens with a screwdriver before a game is over. Featuring a large, swiveling hinge system, the PVT Lock system enables users to quickly change their lens and overall appearance of their goggle with the flick of a buckle. Offered in a variety of colors and finishes, users can collect and interchange each side of their PVT Lock to create a look that is unique to them. Featuring a high-resolution microstitched jacquard strap, the KLR is an industry-first in offering microinjected TPR accent patches for users to further customize their on-field look. Coated with anti-slip silicone on the rear of the strap, the KLR strap is guaranteed against fraying and distortion.